Altar serving is an opportunity for boys and girls in the 4th Grade and higher to assist the priest at the altar during Mass. "Teams" serve on a rotating basis at the weekend Masses. Training sessions are held throughout the year. 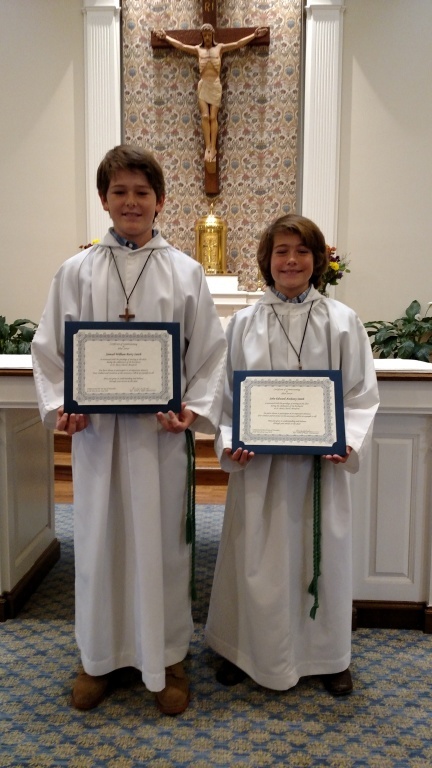 If your child is interested in becoming an Altar Server at St. Mary or St. Therese Church, contact the Parish Office at 203-488-1607.